Now this is more like it. 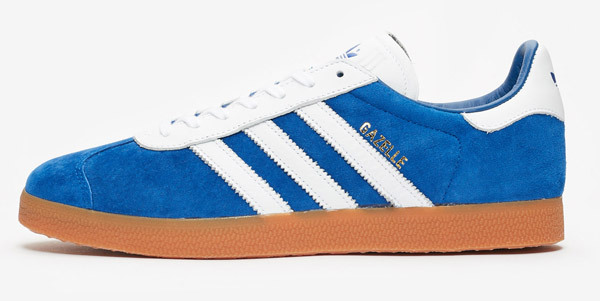 The Adidas Gazelle trainers have gone back to basics in both blue and red finishes. Yes, this is the latest incarnation of the classic 1960s shoe, although as far as I can see, only one retailer is currently selling them. But on the plus side, that retailer currently has all the sizes. 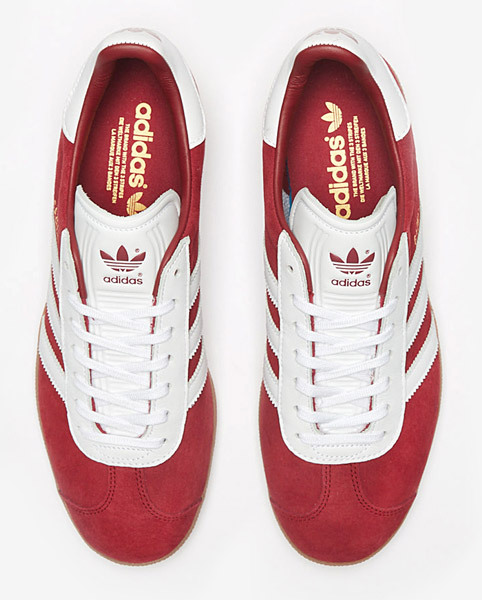 Back to basics because this was how the Adidas Gazelle trainers used to look once upon a time. 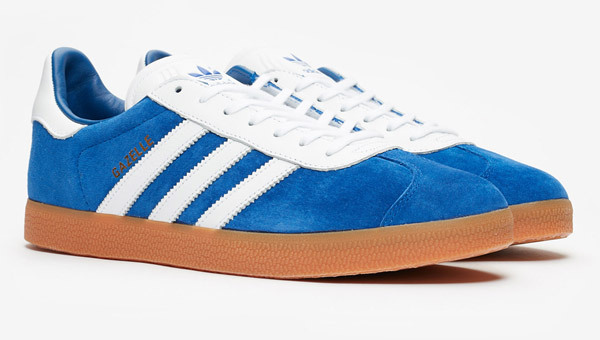 We live in an era where the Adidas Store is full of collaborations and remakes of classics, many of which look nothing like the original shoe. We also live in an era where most of the classics are rarely available and when they do drop, they tend to be in limited numbers and end up on eBay at extortionate prices. 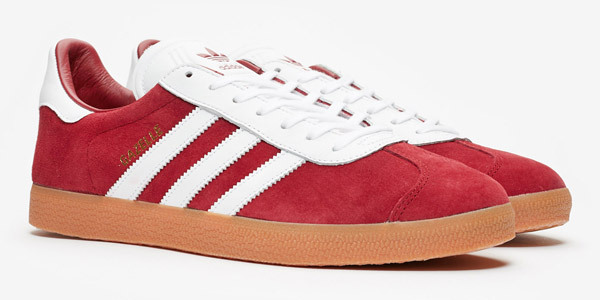 So we need to be thankful when Adidas strips down one of its most timeless silhouettes and offers them in reasonable numbers. 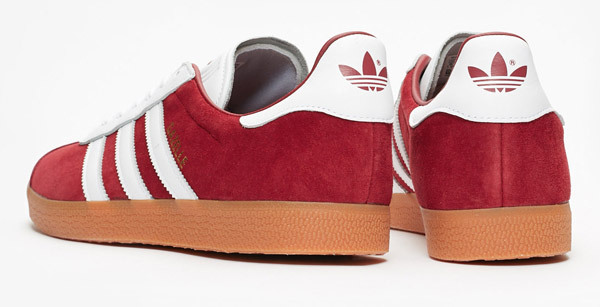 The Adidas Gazelle has been a regular in the Adidas range for more years than anyone can remember, but of late, it has been all about the 1991 shoe. This take on the classic moves away from that style and adds back in the white eyelet for detail and reworks the gum sole. Nothing radical, but that’s the point really. The simplicity is the selling point here. 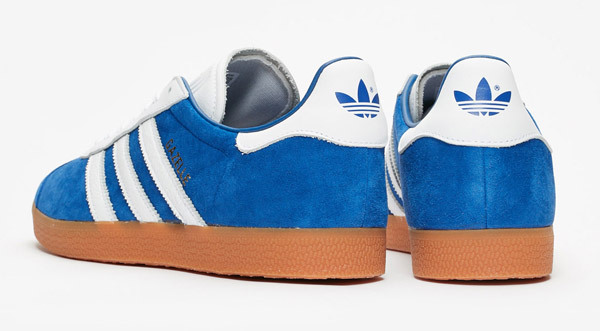 The shoe is available in a choice of blue or red, both with a nubuck upper, OrthoLite sockliner, that rubber outsole and of course, the serrated three steps and leather heel with Adidas logo. 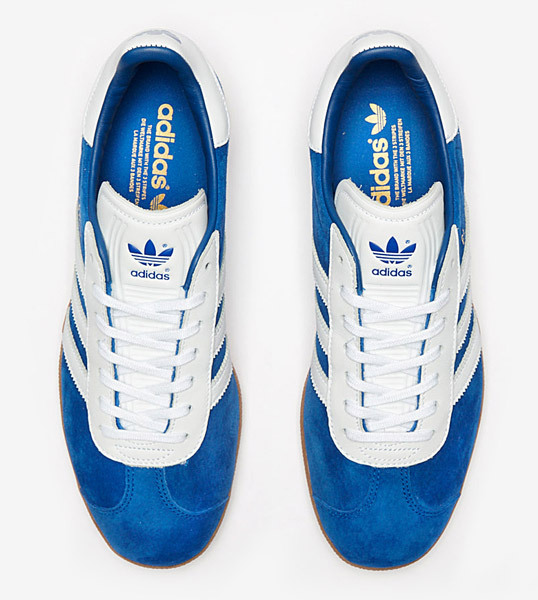 Just Sneakers n Stuff stocking these right now (as far as I can see, let me know if you know any different), with a price of £85.